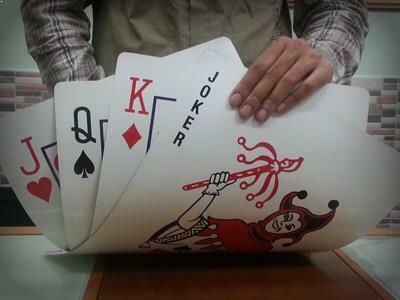 Jumbo playing cards or Giant playing cards are a real favorite with magicians and performers. These playing cards can be used as flash cards or cards to educate the masses in conference. Large playing cards are a great boon to trainers and coaches who can bring their ideas to the fore easily. 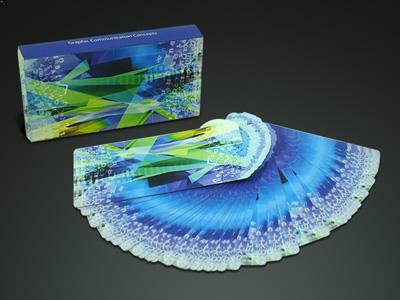 Often large print playing cards are referred colloquially as jumbo playing cards wherein the size of the card is standard but have large indices meant for the senior card players who have low vision or those who need to make a constant effort to view cards a distance away and then up close. Large playing cards are usually custom made to sizes right from 3.5” to 6” in width with the height being increased proportionately.